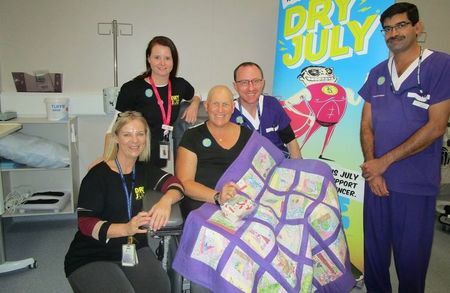 Sign up to Dry July Australia 2018 and raise funds for Geraldton Hospital. There are many complex issues surrounding the remoteness and resources available to those who live within the Midwest community. 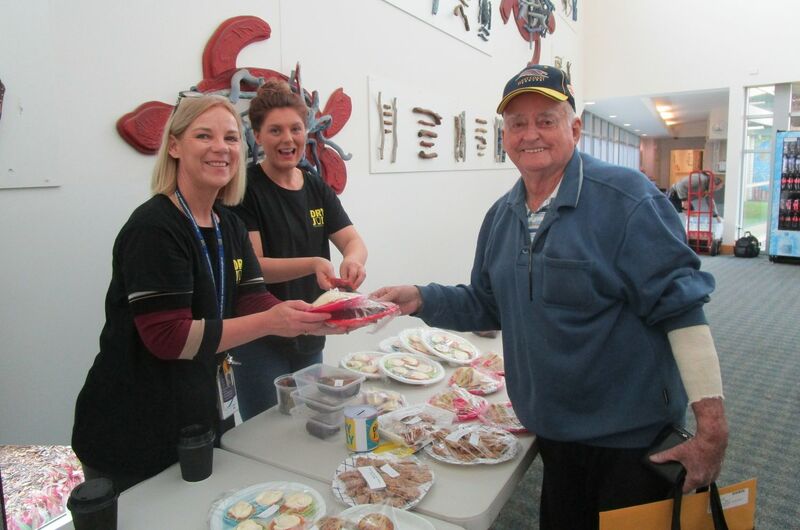 Each year Geraldton Hospital supports over 500 cancer patients. Help us fundraise for projects that improve patient comfort whilst visiting our facility or receiving treatment. Our focus is wherever possible to enable patients to continue treatment in the comfort of their own home. 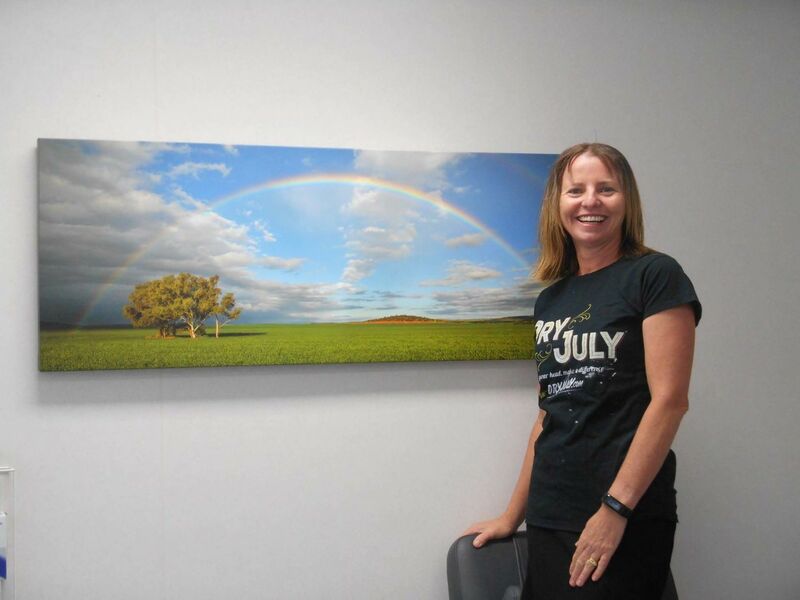 As part of the Midwest region of the WA Country Health Service, we help cover services the Midwest, Gascoyne and Murchison in the central west of the state, a distance of 605,000 square kilometres. The population supported comprises approximately 62,000 residents who largely live in coastal areas. A significant proportion of our population is retired/over the age of 65. We cater to a large Aboriginal population, with approximately 11% of the population being Aboriginal, many of whom live in remote communities. Our cancer service includes 5 chemotherapy chairs, with cancer care nursing staff attending to patients on the ward, outpatient service and oncology clinics. 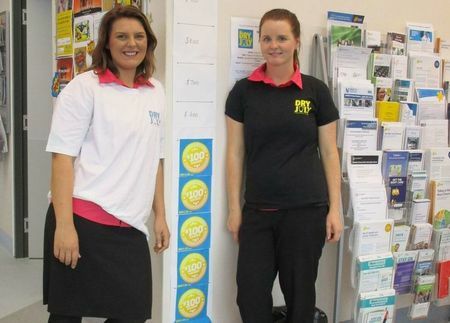 We also have community Palliative Care, Breast Care Nurses, Rural Cancer Care Coordinator, and our Allied Health team. The Cancer Centre for the Midwest is under construction at present. Here is the team and the patient who has kindly donated a blanket for our raffle- good luck everyone! 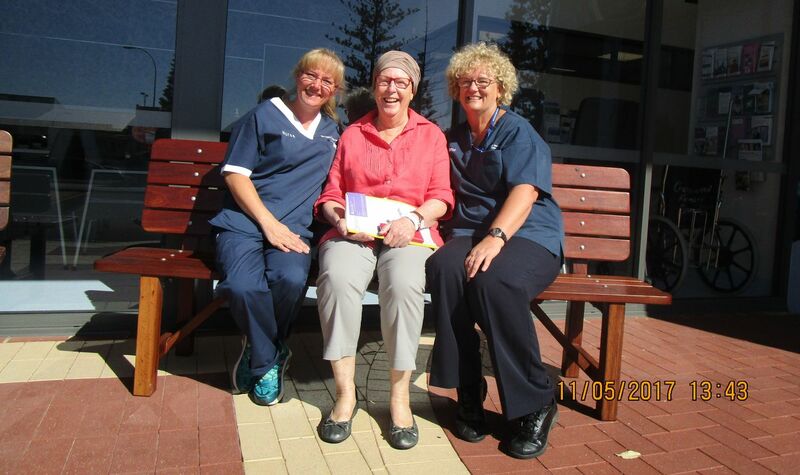 Patients, family and friends visiting the Midwest Cancer Centre enjoying the new benches. The beautifully made benches are located just outside the main entrance of the Midwest Cancer Centre and has now becomes a welcoming communal gathering spot for all to yarn and share their experiences, hopes and stories. Some patients create their own opportunity for a ‘quick catch up’ by arriving a little early for their appointments to meet with others. 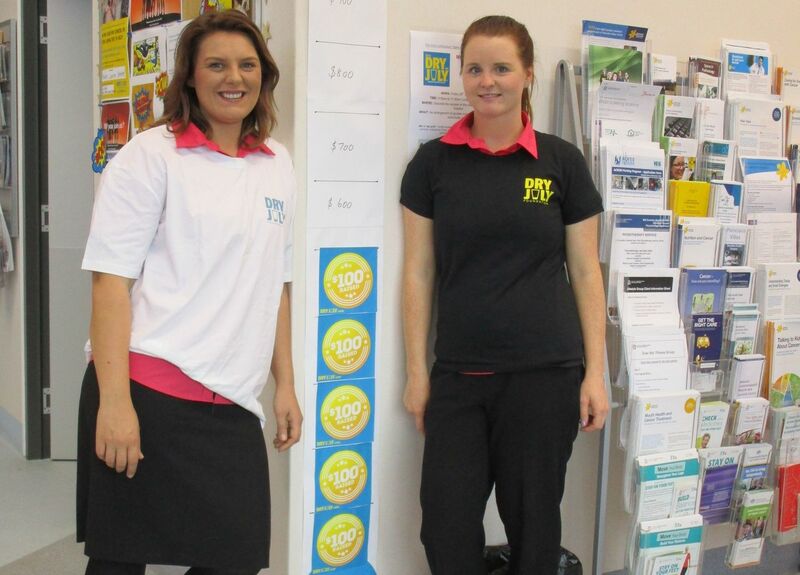 Dry July has helped us create a supportive and caring environment for all who visit the centre. 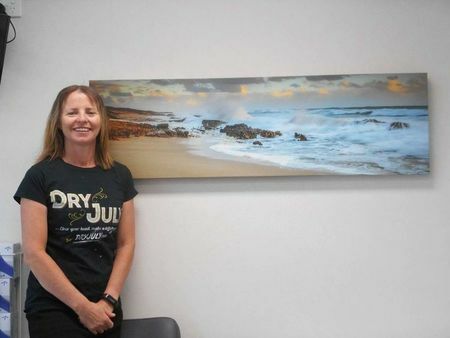 The Geraldton Hospital has used 2016 Dry July funding to purchase artwork to compliment the building.